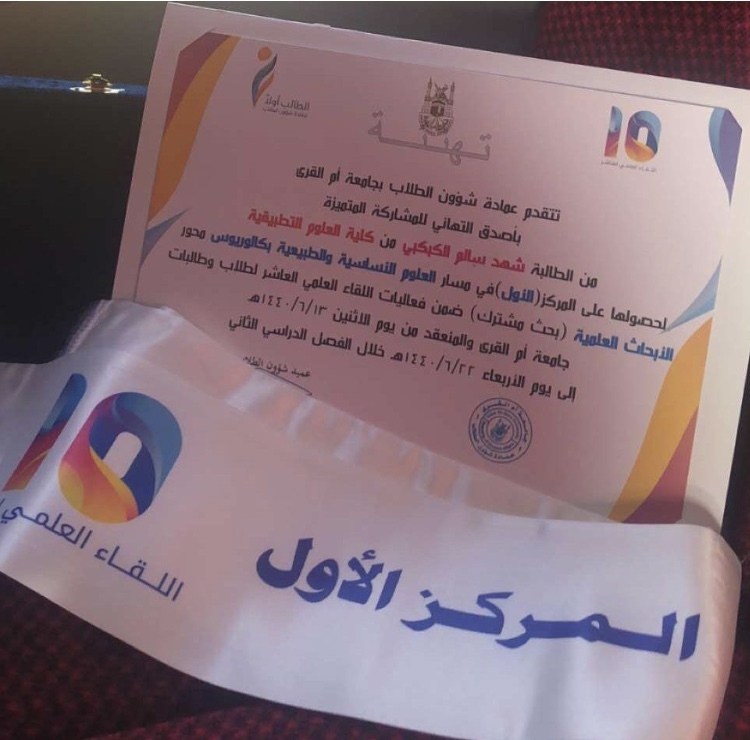 The College of Applied Medical Sciences is both pleased and proud of its students who received several awards at the Tenth Scientific Forum at the level of the university. They raised the name of the college, as the college obtained 8 awards in the finals of the meeting. 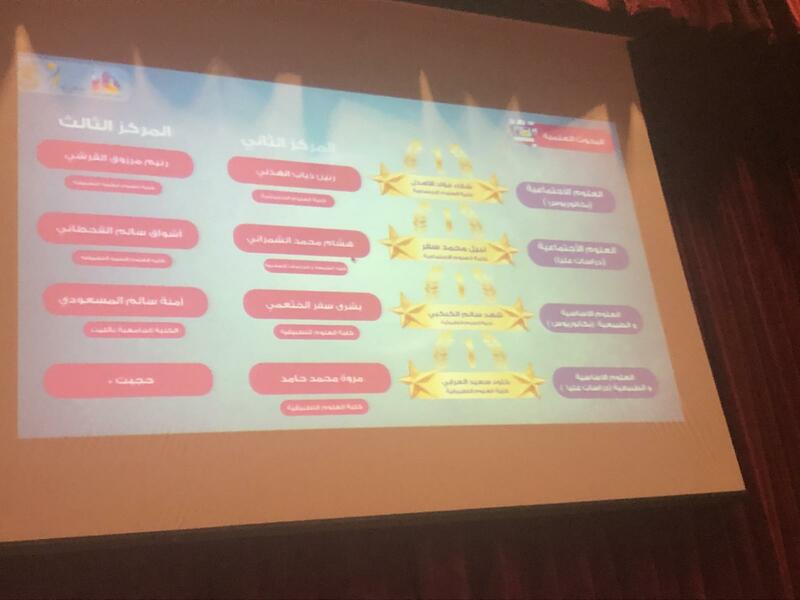 The awards were distributed as follows: first place (three times), second place (twice), third place (twice), and fourth place (one time). The college wishes to congratulate the winners, and wish them constant progress and distinction.